David Kandzari, an Atlanta cardiologist, also has worked as a consultant to makers of medical devices. He received at least $100,000 from them in five years, according to corporate and government data. Another organization he works with, the Food and Drug Administration, doesn’t appear to mind. In October, the FDA put Dr. Kandzari on a panel reviewing a medical device made by Boston Scientific Corp. , one of the companies he has advised.The FDA didn’t disclose the connection. It was among numerous financial ties the FDA hasn’t disclosed between medical-device makers and the doctors and other experts who review devices for it, a Wall Street Journal analysis of corporate, state and federal data shows. In panels evaluating devices involved in cardiology, orthopedics and gynecology from 2012 through 2014, a third of 122 members had received compensation—such as money, research grants or travel and food—from medical-device companies, an examination of databases shows. Nearly 10% of the FDA advisers received something of value from the specific company whose product they were evaluating. The FDA disclosed roughly 1% of these corporate connections. The situation concerns critics. “Undisclosed conflicts raise questions about the decision-making capacity of the committees and whether the public can have confidence in their recommendations,” said Joseph Ross, an associate professor at Yale School of Medicine. The FDA follows the committees’ advice in a large majority of instances, on prescription drugs as well as on medical devices. On devices, it has convened more than 20 meetings this year for recommendations on whether to approve novel products or put new regulations on older ones. The issue arose most recently in July regarding a panel evaluating surgical tools called power morcellators that cut up uterine fibroid growths. A gynecologist stepped down from the panel not long after the Journal inquired about payments he had received from a maker of the devices, a connection the FDA hadn’t disclosed. 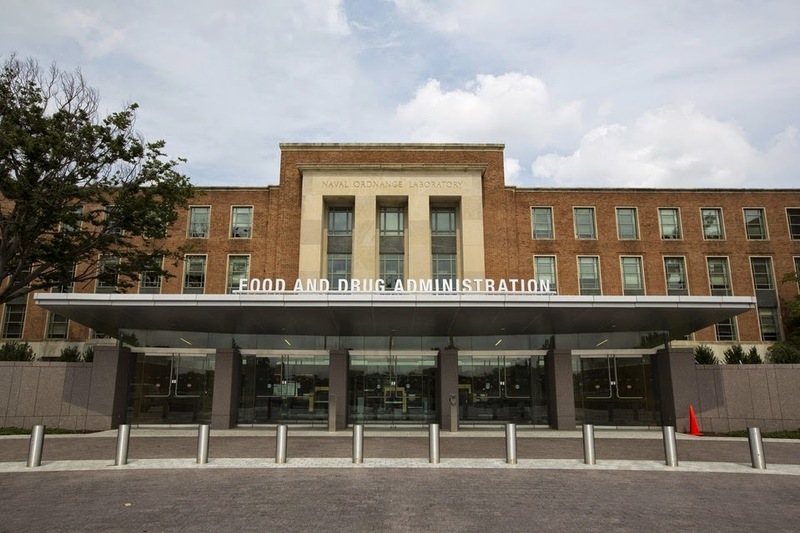 The FDA said under current law and policy, it discloses advisers’ financial interests only when it has determined the experts need a waiver in order to serve. In making this determination, it has discretion. Having done paid work for a medical-device company doesn’t disqualify a doctor or scientist from sitting on an advisory panel, nor require public disclosure, as long as the work wasn’t related to the specific topic or product the panel focuses on, FDA officials said. Current consulting work that is directly related to a panel topic is typically a disqualifying conflict, as is ownership of a large amount of the device maker’s stock, said FDA Associate Commissioner Jill Hartzler Warner. Still, if the FDA believes the individual’s expertise can’t be found elsewhere, it can issue a waiver. It posts such waivers on its website. The agency said it can’t reveal any other financial ties or potential conflicts because what its scientific advisers tell it is confidential. “Our challenge and our goal is to retain public confidence in the advisory-committee process and at the same time to obtain the very best advice,” Ms. Hartzler Warner said. “If you have a financial interest with a sponsor or a related firm, but it’s not related to the product at the meeting, it’s not disqualifying,” she said. “The firms are often large and diverse, and whatever position the FDA takes, it won’t affect the relationship between the firm and the” expert adviser. Doctors said their consulting work doesn’t affect their panel decisions. “I’ve never sat there on a panel and thought, ‘I wonder what my friends at companies X, Y and Z would say.’ I just don’t view it that way,” Dr. Kandzari said. In the panel in October, he voted to approve a heart device from Boston Scientific, a firm that has paid him between $5,700 and $8,190 in consulting fees and expenses for food, travel and lodging since 2011, according to company data. The consulting didn’t concern the kind of device the October panel evaluated, so it posed no conflict, he said. Dr. Kandzari confirmed he has consulted for various device makers. He questioned the accuracy of payment data posted by companies, saying, among other things, that some payments were actually made to his employer. 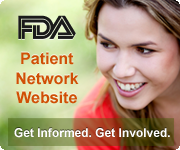 The FDA said broader disclosure could discourage people from sitting on advisory panels. The agency already has a challenge getting highly qualified experts to sign on, Ms. Hartzler Warner said. Edward Y. Cheng, an orthopedic surgeon at the University of Minnesota Medical School and Cancer Center, said doctors have a strong financial disincentive to serve because they must take time away from their practices. Among ties not disclosed by the FDA were $6,666 in consulting fees Dr. Cheng received from a maker of all-metal hip implants a year before he sat on a panel evaluating the safety of that type of hip. Dr. Cheng said the work was unrelated to all-metal hips. Dr. Cheng said it is the FDA’s job to gauge whether a conflict exists but added: “if I personally thought a conflict existed that would affect my ability to remain unbiased, I would decline to participate.” The FDA said it doesn’t comment on individual panel advisers or their finances. There is no central way for the public to learn of ties between panel members and makers of medical devices or drugs, which pay hundreds of millions of dollars a year to physicians in consulting, speaking and other fees, according to data from the Centers for Medicare and Medicaid Services. Concerns that such ties could affect doctors’ medical decisions have led to calls for greater transparency. Many large drug and device companies post their payments to doctors online, often as part of legal settlements over fraud allegations. Some states, including Massachusetts and Vermont, post payments to physicians in their areas. Doctors often must disclose potential conflicts when writing for scientific journals or giving presentations at medical meetings. The federal government this year launched a database called Open Payments, which so far has five months of 2013 data on company payments to doctors and teaching hospitals. The Journal used all these sources as well as archives maintained by PharmaShine, a service of Obsidian Healthcare Disclosure Services LLC. No database reveals doctors’ and medical scientists’ stockholdings, so any search can give only a partial picture of financial ties. The Journal’s tally of payments to members of panels on cardiology, orthopedic and gynecology devices in 2014 found that 64% received no value from device makers in the past five years. The rest did, varying from less than $15 for food and beverage to more than $500,000 in research funding. Of doctors who received something from companies, 32% got less than $500 in value and 26% received $10,000 of value or greater. Before advisory-panel meetings, the FDA asks potential members to report all financial ties, including consulting fees, research grants and stock, in companies with business before the panel and their competitors. In general, if the value of current interests exceeds $50,000, a person will be excluded, said an FDA guidance document. If the agency decides a payment isn’t truly a conflict, it can issue what is called a “502 authorization” letting the person serve, said Ms. Hartzler Warner. The 502 authorizations, unlike waivers, aren’t publicly disclosed. The FDA declined to say how many 502 authorizations it issues annually. “The problem with the FDA’s policy is you don’t know how they use their discretion,” said Celia Wexler, a lobbyist for the Union of Concerned Scientists, a group that opposes political interference in scientific and regulatory matters. Shortly before the July panel on morcellator surgical devices—which reviewed concerns they could spread hidden uterine cancers—the Journal discovered that panel member Andrew Brill had received nearly $100,000 in consulting fees in 2013 from Johnson & Johnson , then the largest maker of morcellators. The information was on a J&J-run public database, which also shows that another J&J unit paid $6,000 to Dr. Brill in 2013. Dr. Brill resigned from the panel just before it met. The FDA said he recused himself because of his financial interests with companies. It declined to discuss why it initially appointed him to the panel. Dr. Brill declined to comment. Documents posted on the website of the American Association of Gynecologic Laparoscopists show Dr. Brill also had ties to another morcellator maker, Karl Storz GmbH of Germany, for which he was a consultant and speaker in 2012. Another corporate connection the FDA didn’t disclose: Dr. Brill sat on a panel examining risks of surgical mesh products, which are used to support internal organs and treat urinary incontinence, in 2011—a year when he received $82,600 from J&J subsidiaries, including one that makes surgical mesh. The information is on J&J’s website. J&J declined to comment. It pulled its morcellators from the market earlier this year. Karl Storz didn’t respond to requests for comment. Keith Isaacson, a doctor who served on the morcellator panel, had received nearly $12,000 in consulting fees from a J&J subsidiary in 2013, the Journal reported in July. Further review of databases shows that Dr. Isaacson also got $9,500 from J&J from 2010 through 2012 for consulting, food and education and training; and that he received $148,400 in consulting fees and other compensation from Karl Storz from 2009 through 2013. The information came from websites of J&J, a Massachusetts health agency and Open Payments. At the panel’s meeting, Dr. Isaacson expressed doubt about data showing that women getting surgery for fibroids have a 1 in 350 chance of having malignant tumors that morcellators could spread, a panel transcript shows. He noted a recent study that found the risk was closer to 1 in 7,450. Dr. Isaacson declined to comment. The FDA wouldn’t discuss the payments or why it placed Dr. Isaacson on the panel in view of these corporate ties. Dr. Kandzari, the cardiologist who served on an October FDA panel evaluating a heart device, is the director of interventional cardiology and chief scientific officer at Piedmont Heart Institute in Atlanta. He has published many medical-journal articles. He said his consulting for device companies is aimed at helping firms design more-efficient clinical trials. One FDA panel Dr. Kandzari sat on last year considered a pacemaker and a defibrillator made by Medtronic Inc. That is a company from which Dr. Kandzari received between $76,600 and $130,600 for consulting work, teaching, travel, lodging and meals from 2010 through 2013, according to company and federal databases. A panel transcript shows he abstained from voting on whether to approve expanded use of the devices because he wasn’t sure whether the benefits outweighed the risks. Dr. Kandzari said his past consulting for Boston Scientific, the maker of the device that was being evaluated at the October panel, had concerned an arterial stent. The October panel focused on a different Boston Scientific product: a plug that seals a heart appendage to cut the risk of strokes caused by clots. That plug, called the Watchman, had been backed by previous FDA panels but was being reviewed again because a study showed patients receiving it had more strokes caused by blood clots than patients getting the blood thinner warfarin. While the panel in October deemed the device safe, a narrow majority that included Dr. Kandzari judged it not as effective as warfarin. Still, he voted yes in a 6-5 panel vote concluding its benefits outweighed its risks, tantamount to a recommendation of marketing approval. Dr. Kandzari said despite his concerns that “stroke was not necessarily reduced with this technology,” he believed it should be available for patients who are at high risk of complications from warfarin. Following the advisers’ vote, Boston Scientific told analysts it expected the Watchman to win FDA approval in the first half of 2015 and eventually reach $500 million in yearly sales. —Andrea Fuller contributed to this article. Watch the 20 minute video in this link above! Breast implants leak. Pelvic floor mats which adhered so severe that they cause constant pain and not to remove more . Hip implants that release metal particles which then wander through the body and cause damage. These are just some examples of complications of internal medical devices. Such implants , patients need help but worry they instead often much damage and severe ( pain) complaints. Scandals implants for years regularly in the news. In Radar we have here already extensive attention to : in 2012, we highlighted the harmful effects of pelvic floor mats in women. Several women have become permanently disabled after placement of such mats. The question arose as to how the editors medical devices end up in patients. Is first investigated the effects of placement of these devices? How the system is actually in each other to get an implant on the market? And how easy is it to develop a medical device and sell? Radar will display a new medical device on the market on how to easily put such a device on the European market. Radar invented a pelvic floor mat ( a tool used in women who suffer from prolapse ) , which is based on four models from different manufacturers sold in Europe or were . 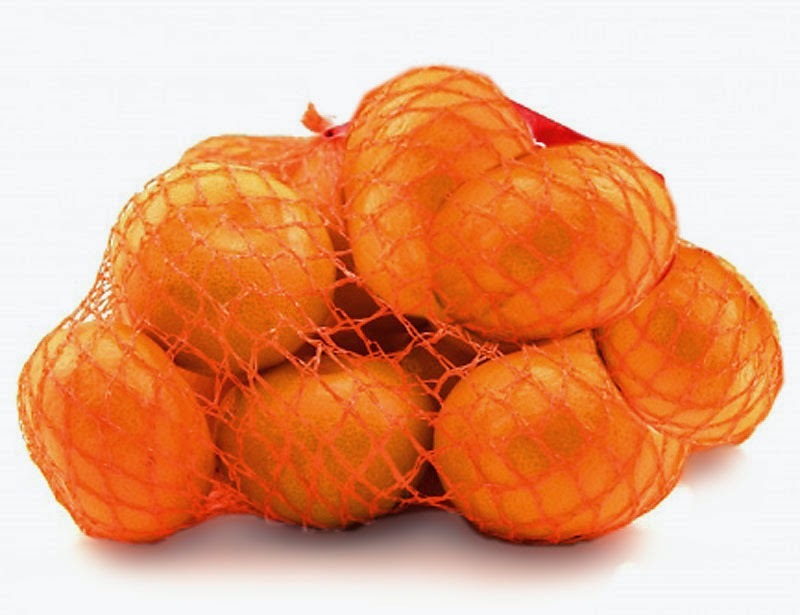 The radar consists of a mat of mandarins net. This product is developed and described in a brochure and a technical file. Watch the show ( above) and read more. Borstimplantaten die gaan lekken. Bekkenbodemmatjes die zo ernstig verkleefd zijn dat ze constante pijn opleveren en niet meer te verwijderen zijn. Heupimplantaten die metaaldeeltjes afgeven welke vervolgens door het lichaam gaan zwerven en schade aanrichten. Dit zijn slechts enkele voorbeelden van complicaties bij inwendige medische hulpmiddelen. Zulke implantaten zouden patiënten moeten helpen, maar in plaats daarvan zorgen ze vaak voor veel schade en ernstige (pijn)klachten. Schandalen met implantaten zijn al jaren regelmatig in het nieuws. Ook in Radar hebben we hier al uitgebreid aandacht aan besteed: in 2012 belichtten we de schadelijke gevolgen van bekkenbodemmatjes bij vrouwen. Meerdere vrouwen zijn blijvend invalide geraakt na plaatsing van zulke matjes. De vraag rees bij de redactie hoe medische hulpmiddelen uiteindelijk in patiënten terecht komen. Wordt er eerst onderzoek gedaan naar de gevolgen van plaatsing van deze hulpmiddelen? Hoe zit het systeem eigenlijk in elkaar om een implantaat op de markt te krijgen? En hoe makkelijk is het om een medisch hulpmiddel te ontwikkelen en te verkopen? Radar brengt een nieuw medisch hulpmiddel op de markt om aan te tonen hoe gemakkelijk een dergelijk hulpmiddel op de Europese markt gebracht kan worden. Radar verzon een bekkenbodemmatje (een hulpmiddel dat gebruikt wordt bij vrouwen die last hebben van een verzakking), dat gebaseerd is op vier modellen van verschillende fabrikanten die in Europa verkocht worden of werden. Het matje van Radar bestaat uit een mandarijnennetje. Dit product is uitgewerkt en beschreven in een brochure en een technisch dossier. Bekijk de uitzending (hierboven) en lees meer. Stryker, the major producer of artificial hip implants, said on Monday that it had reached a settlement of thousands of patient lawsuits involving now-recalled all-metal devices that is expected to cost the company about $1 billion. The Stryker deal, negotiated with lawyers representing the patients, would be one of the highest amounts paid in the last year by an implant manufacturer to resolve claims by patients who said they were injured by a hip replacement in which a device’s ball and cup components were both made from metal. Last November, the DePuy division of Johnson & Johnson agreed to pay about $2.5 billion to resolve lawsuits filed by 8,000 patients who said they were injured by an all-metal implant that it once sold, known as the Articular Surface Replacement or A.S.R. All-metal implants once accounted for about one of every three devices used in the estimated 250,000 hip replacement procedures that are performed annually in this country. The devices have been largely abandoned after evidence emerged several years ago that the metal components could rub together, creating tiny particles of metallic debris that could severely damage a patient’s tissue and muscle. In announcing the settlement, Stryker, which is based in Kalamazoo, Mich., said that it covered patients who had received the Rejuvenate Modular-Neck or the ABG II Modular-Neck and who underwent operations to have the implant replaced. Stryker recalled both models in 2012 as complaints increased. Stryker said that it had set aside $1.45 billion to settle the claims but that it expected the eventual expenses to be higher. “This settlement program provides patients compensation in a fair, timely and efficient manner,” said William J. Huffnagle, the president of Stryker Orthopaedics. Since abandoning all-metal implants, surgeons have returned to devices made of a mix of materials, such as plastic and metal. Just over two years since the Stryker Rejuvenate and ABGII hip implant products were recalled from the market in June 2012, national leadership in the multi-district litigation (MDL) today announced a global settlement proposal for all Stryker Rejuvenate and ABGII hip implant victims who have undergone revision surgery to remove and replace their recalled Stryker hip implant on or before November 2, 2014. The settlement proposal includes a base award amount of $300,000.00 to each claimant who has undergone revision surgery on or before to November 2, 2014, and otherwise qualifies for the settlement. There are certain limited potential reductions to the base award for age, prior hip revisions, and other relevant factors. Claimants may also receive additional compensation, referred to in the proposed settlement as “Enhancements,” at a later date if they can demonstrate that they meet the eligibility requirements for the categories set forth in the settlement agreement. Although participation is voluntary, it is expected that many of those that qualify (those who have had their recalled Stryker hip removed and replaced on or before November 2, 2014) will benefit from the settlement program, and may ultimately decide to participate in the settlement. Any such decision should be made on an individual, case-by-case basis. The settlement program applies to patients who are U.S. citizens and residents who had either an ABG II Modular Neck System or a Rejuvenate Modular Neck System implanted in their bodies in the United States, and who had a qualified surgery to remove and replace the recalled device on or before November 2, 2014. The settlement program is also open to certain patients who have been deemed to be too sick or medically unstable to undergo a necessary revision surgery. 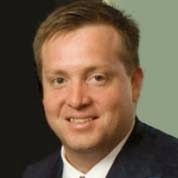 At Childers, Schlueter & Smith, our attorneys will immediately undertake to determine how the proposed settlement will affect each of our clients, and will work with each client individually to carefully consider the benefits of the proposed settlement so that they can make an informed personal decision on whether or not to participate. As a nationally appointed leader in this litigation, founding partner Richard R. Schlueter will ensure each and every one of our clients has all of the information he/she needs to make the best choice for his/her unique situation. Richard Schlueter has been involved in the various hip implant litigations (including DePuy ASR/Pinnacle, Zimmer Durom Cups, Biomet M2a Magnum and Wright Conserve Plus among many others) for several years, and has unique knowledge relating to hip implant failures and the injuries caused by those failures. Our current and future clients will be continue to be very well represented and informed during the entire process. Attorneys representing those interested in participating in the Stryker hip implant settlement will have to register their clients in the program on or before the initial reporting deadline of December 14, 2014. After that, the next deadline will be the formal enrollment of each individual patient who chooses to participate into the Settlement Program. Those qualified claimants who would like to participate in the settlement program must enroll by March 2, 2015. If less than 95% of the qualified claimants elect to participate in the settlement, Stryker has the ability to walk away and cancel the settlement program. Stryker must make that decision on or before June 15, 2015. Assuming the participation threshold is met and the settlement continues after June 15, 2015, the deadline to file claims for Enhanced benefits is September 30, 2015. Additional compensation through the Enhanced benefits portion of the settlement will relate to damage to the femur, soft tissue damage, additional procedures and infection. There is a cap on the Enhanced damages so that most total claims (Base award and Enhanced benefits) will be no more than $550,000.00 per claimant. Based on the timing of the deadlines in the proposed settlement, it is unlikely that any settlement payments will be made prior to late summer or early fall 2015.
pocket costs, administered by Broadspire, remains available. The decision to undergo a revision surgery is a medical decision, not a legal decision, and should be made only by patients in consultation with their surgeons. 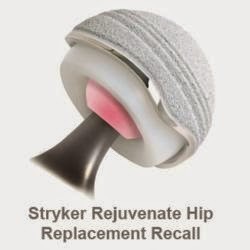 If you were implanted with a recalled Stryker Rejuvenate or ABGII hip implant product but are not eligible for the settlement program, all of your legal rights and claims are preserved and you will not be affected so long as you have a filed legal claim with the Court. Patients who have been implanted with a recalled Stryker hip in both hips (referred to as “bilateral” hip implants), in whom only one hip has been revised, will retain all of their claims and legal rights in regard to the unrevised hip, even if they participate in the settlement for their revised hip. Childers, Schlueter & Smith is committed to continue litigating all claims for our clients who don’t qualify, who are arbitrarily penalized so as to not receive an offer under this proposal, who have not had revision surgery by today’s date, and those who choose not to participate in the proposed settlement. If you have a recalled Stryker Rejuvenate or ABGII, please call us for a free consultation regarding your legal options. For those looking for answers and guidance on these and/or any other Stryker hip implant related issues, we welcome you to contact our office for more information. Medical implant maker Stryker will pay at least $1.43 billion to settle thousands of lawsuits from patients who had to have surgery to remove problematic hip implants, under a deal announced Monday. The agreement, brokered by a New Jersey Superior Court judge, resolves state and federal lawsuits against the maker of orthopedics. It was announced Monday in U.S. District Court in St. Paul, Minnesota. Stryker said the $1.43 billion figure represents the "low end of the range of probable loss to resolve these matters." The lawsuits stem from two hip implants that Stryker recalled due to corrosion and other problems in 2012. One year ago Johnson & Johnson paid $2.5 billion to settle 8,000 lawsuits from patients who had to have the company's metal ball-and-socket hip implant removed or replaced. Plaintiffs in 39 states alleged Kalamazoo-based Stryker sold defective hips that corroded while in patients' bodies and caused illness, including pain and swelling in the tissue around the implant. "The settlement represents one of the largest medical device settlements with an unlimited compensation fund," said Minneapolis lawyer Charles Zimmerman, who helped negotiate the deal as part of the lead-counsel committee for the case. "We are pleased that we were able to reach a settlement with such meaningful relief." 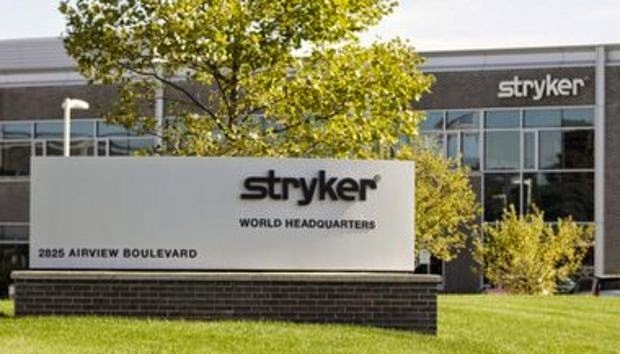 Stryker Corp. expects to make most of the payments by the end of 2015. Thousands of cases from patients across the country have been consolidated under a single federal judge in Minnesota in a "multi-district litigation," a common type of mass lawsuit filed against health care companies, the Star Tribune of Minneapolis reported. Stryker Corp., whose Kalamazoo headquarters is shown here, has entered an agreement intended to resolve a wave of state and federal lawsuits related to two hip replacement products that it recalled in July of 2012. KALAMAZOO, MI – Stryker Corp. has agreed to pay at least $1.4 billion to settle thousands of lawsuits by U.S. patients who had surgeries to revise problematic Stryker hip replacements. The settlement in New Jersey's Bergen County Superior Court is intended to compensate individuals who had to have surgery to replace either of two Stryker products -- the Rejuvenate Modular-Neck hip stem and/or ABG II Modular-Neck hip stem. Following complaints by patients of pain and swelling that were attributed to fretting and corrosion of the metal-on-metal hip implants, Stryker voluntarily conducted a worldwide recall of the products in July of 2012. The company did not provide an estimate of how many people may have been effected or how many may be compensated. It also did not offer a representation of how much individuals stand to receive. "The ultimate cost to entirely resolve these matters will depend on many factors that are difficult to predict and may be materially different than the amounts accrued to date," the company stated in a press release. "Further charges to earnings may need to be recorded in the future as additional information related to patient enrollment in the Settlement Program becomes available." The company stated that it expects to make the majority of the payments under the settlement agreement by the end of 2015. The agreement, which is intended to resolve a wave of state and federal lawsuits, was brokered by New Jersey Superior Court Judge Brian R. Martinotti with the help of former United States Magistrate Judge Diane M. Welsh, acting as chief mediator. It covers individuals who have already had surgery to replace the Stryker products. It also covers those who are already party to a lawsuit as well as those who are not. In a June report, MT Services LLC reported that some cases involving revisions of Stryker Rejuvenate and ABG II hips could be worth more than $500,000. According to Stryker, patients eligible for compensation should talk with their attorneys, if they have one, or contact the Settlement Program claims administrator at www.strykermodularhipsettlement.com or 1-855-382-6404. Patients do not need an attorney to participate in the Settlement Program. A program called Broadspire, being done in partnership with third-party claims administrator Broadspire Services Inc., offers support for recall-related care among U.S. patients who have not had surgey to remove the recalled products. In its press release, Stryker advised those patients to visit http://www.aboutstryker.com/modularneckstems/or call 1-888-317-0200 for more information. 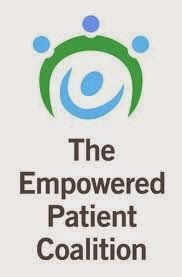 It stated that patients do not need an attorney to participate in the Broadspire program. Kalamazoo-based Stryker produces a wide range of medical technologies including surgical devices, patient-handling devices, hospital beds and orthopedic implants such as replacement hips and joints. MLive business writer Al Jones may be contacted at ajones5@mlive.com. 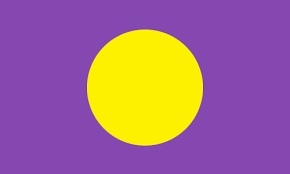 Follow me on Twitter at ajones5_al. Bum Tornier Elbow, Abandoned Patient, Inversion and a $3.3 BILLION Merger/Sale/Deal. Protect those shareholders! Follow the Money! Just a reminder: Doug Kohrs, the former CEO of AMS, American Medical Systems/Endo Pharmaceuticals now from Dublin, Ireland (producer of FAILED pelvic surgical mesh) and CEO of Tornier-a Minnesota company-now from the Netherlands-that made the elbow that failed in my brother after just 4 months-left abruptly and gave himself $2.6M when the company was failing to bring in a profit. Orthopedic-device maker Tornier has been sold to Wright Medical Group Inc. in an all-stock deal worth $3.3 billion, the companies announced Monday. Memphis-based Wright Medical Group, which makes surgical devices and bone-growth products, will own 52 percent of the combined company's stock when the deal closes. The combined company will operate as Wright Medical and be led by Robert Palmisano, Wright's president and CEO. Tornier CEO David Mowry will serve as president and chief operating officer. Tornier is based in the Netherlands, but its U.S. headquarters and top executives are based in Bloomington. The business ranks as Minnesota's 10th-largest medical-technology company, according to Business Journal research. Tornier's Bloomington office will serve as the U.S. headquarters for the combined company's upper extremity business unit, Tornier said in a regulatory filing. Wright's U.S. headquarters and executive team will be based in Memphis. Its global headquarters will be based in the Netherlands. Tornier makes devices for the treating orthopedic problems in shoulders, hand, elbows and other extremities. The company generated $311 million in revenue last year. Wright's sales totaled $242 million in 2013. Wright Medical Group ($WMGI) plans to merge with peer Tornier ($TRNX) in an all-stock transaction designed to create a pure-play orthopedics extremities and biologics company valued at $3.3 billion. The resulting entity is expected to be a midsized growth company that's in what it says are the three fastest growing areas of orthopedics--upper extremities, lower extremities and biologics. The newly combined company will be incorporated in the Netherlands, where Tornier is currently headquartered. The inversion deal is one of the first since release of the Treasury Department's rules to deter the tax-saving practice. One of them was a med tech deal between hospital products and services companies Steris and U.K.-based Synergy Health. During the conference call describing the deal, company officials said the short-term tax advantages will be minimal, according to the Wall Street Journal. The deal values Tornier at a premium of 28% over its Oct. 24 closing price. Wright shares climbed 6% to $33.50 in after-hours trading on the news, while Tornier gained 31% to $31.44. Each share of Wright common stock will be exchanged for 1.0309 ordinary shares of Tornier. "Together, we will have one of the most comprehensive upper and lower extremity product portfolios in the market, extending our leadership position and further accelerating our growth opportunities and path to profitability, all of which we believe will generate long-term value for our shareholders. In addition, this will provide our employees with opportunities for career growth and development as part of a much larger, dynamic organization," Robert Palmisano, CEO of Wright Medical, said in a statement. He will become CEO of the newly combined company, to be known as Wright Medical Group N.V. The U.S. headquarters for the Lower Extremity and Biologics businesses will be in Memphis, TN, where Wright is currently headquartered. The U.S. headquarters for the Upper Extremity business will be based in Bloomington, MN, at an existing Tornier facility. Wright shareholders will own 52% of the new company and Tornier shareholders, 48%. "Both companies have built a deep and loyal customer base and have highly complementary product portfolios, positioning the combined entity to deliver meaningful value to our shareholders. We believe that partnered together, Wright and Tornier will become the fastest-growing company in the Extremities-Biologics industry," said Tornier CEO David Mowry, who will become COO of Wright Medical Group N.V. The news comes on the same day as Wright's announcement that it received PMA approval from the FDA for its Augment Bone Graft as an alternative to autograft for ankle and/or hindfoot fusion indications. Both companies make implants to fix or replace the wrist and ankle as well as biologics to encourage healing and tissue regeneration. Tornier's U.S. portfolio also includes implants for the shoulder and elbow, as well as surgical tools enabling sports medicine. The new company is expected to have revenues growing in the mid-teens with adjusted EBITDA margins approaching 20% in three to four years. Cost synergies are expected to be in the range of $40 million to $45 million within the first three years after the transaction completes; synergies will be due to overlapping public company expenses, support function and system costs as well as process and vendor consolidation. Wright expects the transaction will be accretive to the new company's adjusted EBITDA in the second full year after the transaction completes. Separately, Tornier reported Q3 revenues were up 14.9% year over year to $76.7 million. Meanwhile, Wright's quarterly net sales of $71.3 million were up 24%. The transaction is expected to close during the first half of 2015. Editor's Note: This article has been updated to indicate that the transaction involves tax inversion. Medical-device companies Wright Medical Group Inc. and Tornier NV agreed to combine in an all-stock deal that would move Wright’s headquarters to the Netherlands. The companies, which both make orthopaedic devices, said their combined equity value is about $3.3 billion. Wright shareholders will own about 52% of the combined company, while Tornier investors will have 48%. This deal follows other acquisitions prompted in part by potential tax advantages, known as inversion deals. In recent weeks, the Obama administration has moved to stem that wave of corporate inversions by unveiling new tax rules. On a conference call, the companies downplayed the tax implications of the deal, saying the near-term advantages are minimal. The combined company will be called Wright Medical Group NV and will be led by Wright’s current CEO, Robert Palmisano, but it will be based in the Netherlands, with a U.S. home at Wright’s current Memphis base. Tornier CEO David Mowry will be chief operating officer of the combined company. The board will be made up of five representatives from each company’s existing board. Wright makes extremity and surgical tools, while Tornier makes tools for surgeons who treat musculoskeletal injuries and disorders of the shoulder, elbow, wrist, hand, ankle and foot. NEW YORK--(BUSINESS WIRE)--Oct. 29, 2014-- Levi & Korsinsky is investigating the Board of Directors of Wright Medical Group, Inc. (“Wright Medical” or “the Company”) (NasdaqGS: WMGI) for possible breaches of fiduciary duty and other violations of state law in connection with the sale of the Company to Tornier NV. Click here to learn more about the investigation: http://zlk.9nl.com/wright-medical-wmgi. Under the terms of the transaction, Wright Medical shareholders will receive 1.0309 Tornier common shares for each share of Wright Medical stock they own, representing an approximate value of $24.79 per share, based on Tornier’s recent closing price. The investigation concerns whether the Board of Wright Medical breached their fiduciary duties to stockholders by failing to adequately shop the Company before agreeing to enter into this transaction, and whether Tornier NV is underpaying for Wright Medical shares. In particular, at least one analyst has set a price target for Wright stock at $40 per share. If you own Wright Medical common stock and wish to obtain additional information, please contact Joseph E. Levi, Esq. either via email at jlevi@zlk.com or by telephone at (212) 363-7500, toll-free: (877) 363-5972, or visit http://zlk.9nl.com/wright-medical-wmgi. Levi & Korsinsky is a national firm with offices in New York, New Jersey, Connecticut and Washington D.C. The firm’s attorneys have extensive expertise in prosecuting securities litigation involving financial fraud, representing investors throughout the nation in securities and shareholder lawsuits. For more information, please feel free to contact any of the attorneys listed below. Attorney advertising. Prior results do not guarantee similar outcomes.